The VingCard Alfa RFID lock is a high quality electronic lock constructed according to the strictest criteria. By standardizing design options, and using a modern robust coating as a finish, it provides a cost-effective quality lock. VingCard Alfa RFID locks complete the product portfolio offering an affordable electronic locking solution for budget properties and for "back of house" doors at larger properties where security is imperative. 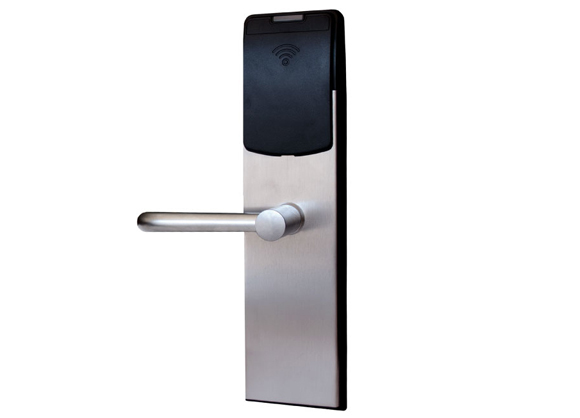 Stand alone electronic lock with magnetic stripe technology or ContactLess RFID technology. Powered by 3AA batteries that provides up to 3 years normal life time. UL-fire listed for usage on fire doors. Brass handle with self lubricating long life bearings. High security mortise lockcase available in ANSI and EURO versions. 3 point steel latch construction with an antifriction mechanism. Case hardened full 1-inch (ANSI) throw deadbolt. Panic release function – the deadbolt and latch are automatically retracted by inside handle for easy egress in emergency situations. Compliant with ADA (Americans with Disabilities Act) requirements. High quality escutcheon in Stainless steel finish. Future proof re-programmable FLASH RAM lock memory. Error free card reader that reads both on insert and removal for optimal accuracy. 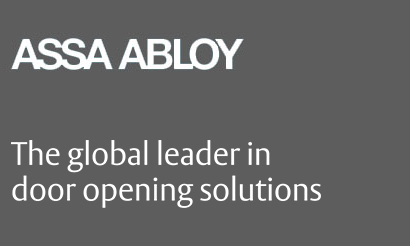 Compatible with VISION BASIC systems (software platforms).